Experts at Newcastle University in the UK are investigating Google Glass, the next generation of wearable computing, as an assistive aid to help people with Parkinson's retain their independence for longer. The device has been likened to the kind of technology fictionalized in the Hollywood Blockbuster “Minority Report”. 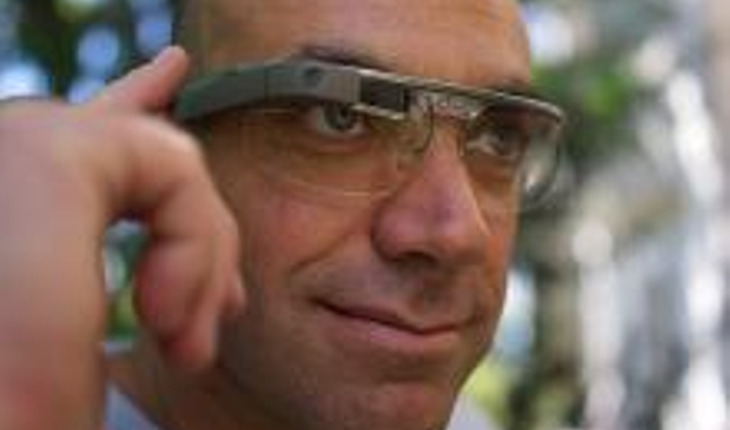 At first glance, Google Glass appears to be no more than a pair of designer glasses. But the system works like a hands-free smartphone, displaying information on the lens. The technology is voice-operated and linked to the Internet. The five pairs of Glass at Newcastle University were donated by Google to allow researchers to test how they could be used to support people with long-term conditions. Initial studies by the team, based in the University's Digital Interaction Group in Culture Lab that is part of the School of Computing Science, have focused on the acceptability of Glass. They have been working with a group of Parkinson's volunteers between the ages of 46 and 70. Now they are working on the next stage of the project, using the technology to provide discreet prompts linked to key behaviors typical of Parkinson's, such as reminding the individual to speak up or to swallow to prevent drooling. Glass can also be used as a personal reminder for medication adherance and appointments. The team will also be exploring how the motion sensors in Glass can be used to support people with 'freezing', a behavior caused by motor blocking that is a common symptom of Parkinson's. The release quotes study leader Dr. John Vines as saying, "Glass opens up a new space for exploring the design and development of wearable systems. Glass is such new technology we are still learning how it might be used but the beauty of this research project is we are designing the apps and systems for Glass in collaboration with the users so the resulting applications should exactly meet their needs. What was really encouraging from this early study was how well our volunteers took to the wearable technology and the fact that they could see the potential in it." Parkinson's disease is a progressive neurological condition affecting up to 10 million people worldwide, with onset generally in those over 50. The condition manifests itself in motor symptoms including rigidity, tremor and 'bradykinesia' or slowness of movement. These affect balance, gait, and arm and facial movements. Motor blocks commonly affect people's legs during walking causing them to “freeze”. Speech and voice are typically affected in terms of volume and clarity and the automatic swallowing mechanism is blocked so individuals often drool. Aside from the physical signs, there are a myriad of emotional and social factors relating to loss of independence, social confidence, embarrassment, and stigma. Team member Roisin McNaney, a speech and language therapist whose PhD has primarily focused on the use of external cues as behavioral prompts, says one of the big challenges is finding technology that is not only useful to people but is also discreet. "People with Parkinson's are already coping with so much and one of the main causes of social isolation is the stigma around behaviors such as drooling and tremor which they have no control over," explains Roisin, who is using discreet prompts to remind people with Parkinson's to swallow to prevent drooling, a common side effect. "The last thing we want is a system of cueing which is so obvious it adds to people's overall embarrassment. Wearable computing is still quite novel but as more people buy into the technology and start to wear it out and about for leisure then systems such as Glass offer us a real opportunity for the long-term treatment of progressive conditions." Dr Vines adds: "Technology has the potential to play a central role in the development and improvement of people's lives. The challenge is understanding everyone's different needs and tailoring that technology so that it makes a real impact on society." Claire Bale, Research Communications Manager at Parkinson's UK, said: "This new study looking into Google Glass is an exciting example of how new technologies could be used to improve the lives of people living with Parkinson's by tackling a wide variety of problems – from freezing to remembering to take their medication on time. But to really make the most of the potential of new technologies it's essential that researchers work in partnership with the real experts in the condition – people living with Parkinson's. Only people with the condition can tell us if these new approaches will genuinely improve their lives in meaningful and realistic ways." Partners Lynn Tearse, 46, and Ken Booth, 56, from County Durham, were some of the first volunteers to try out Glass as part of the Newcastle University trial. Ken, who was first diagnosed with Parkinson's in 1991, underwent Deep Brain Stimulation last year in a bid to relieve some of the side effects of the condition. "The drugs just weren't working for me anymore," explains the former salesman. "I'd been offered the operation five years ago but I was too scared and at the time I was managing with the medication. But by last year the tremor had got so bad I couldn't carry on. The difference is incredible. It hasn't stopped the episodes completely and I still have to take the medication but it's helping to control the symptoms so I can live my life." After trying Glass for a week, Ken says both he and Lynn are complete converts. "They're just fantastic. The potential for someone with Parkinson's is endless. For me the biggest benefit was confidence. When you freeze your legs stop working but your body carries on moving forward and it's easy to fall. Because Glass is connected to the Internet you can link it to computers and mobile phones. So if you're alone you just have to look through the Glass and carers, friends or relatives will be able to see exactly where you are and come and get you. Or you just tell it to call someone and it rings them." Lynn, a retired teacher who was diagnosed with Parkinson's in 2008, adds: "People would probably say you can do all these things on a smartphone but actually, with Parkinson's, negotiating a touch screen is really difficult. It's not just the tremor. During a 'down time' when the medication is starting to wear off and you're waiting for the next lot to kick in it can be like trying to do everything wearing a pair of boxing gloves. Your movements are very slow and your body won't do what you want it to." Lynn says Glass could also be hugely helpful to unlock the brain when is “freezes”. "No-one really understands why it happens," explains Lynn, "but it happens when the flat surface in front of you breaks up or the space in front of you narrows such as a doorway. Revolving doors are particularly bad. Your legs gradually freeze up and the difficulty is getting started again. The brain seems to need a point beyond the blockage to fix on and people use different things – Ken will kick the end of his walking stick out in front of him but many people use laser pens to create a virtual line beyond the barrier. This is where Glass could really make a difference." Using it as a medication reminder is another of the applications the Newcastle University team is looking at. "The drugs don't cure Parkinson's, they control it so it's really important to take the medication on time," explains Ken. "I was taking two or three different drugs every two hours, different combinations at different times of the day; some with water, some with food, the instructions are endless. Having a reminder that is literally in your face wherever you are and whatever you are doing would really help." Lynn adds: "Parkinson's can be very isolating. Ken and I work together – we went away last month and I learnt to ski – but the Parkinson's symptoms and the drug side effects can be frightening and often embarrassing and not always well understood. Any technology which promotes confidence and helps people take better control of their condition and their life should be welcomed."